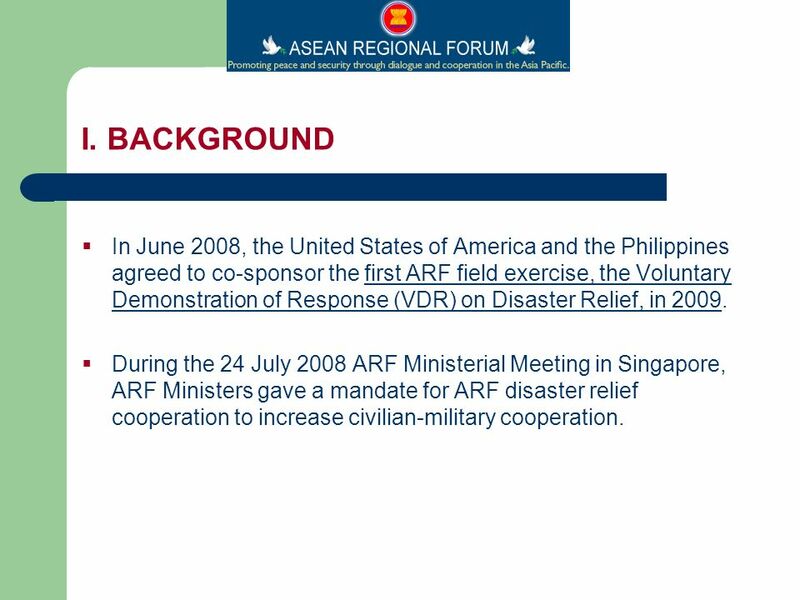 2009 ASEAN REGIONAL FORUM VOLUNTARY DEMONSTRATION OF RESPONSE (ARF-VDR) ON DISASTER RELIEF EXERCISE Steering Committee and Working Groups Meeting. 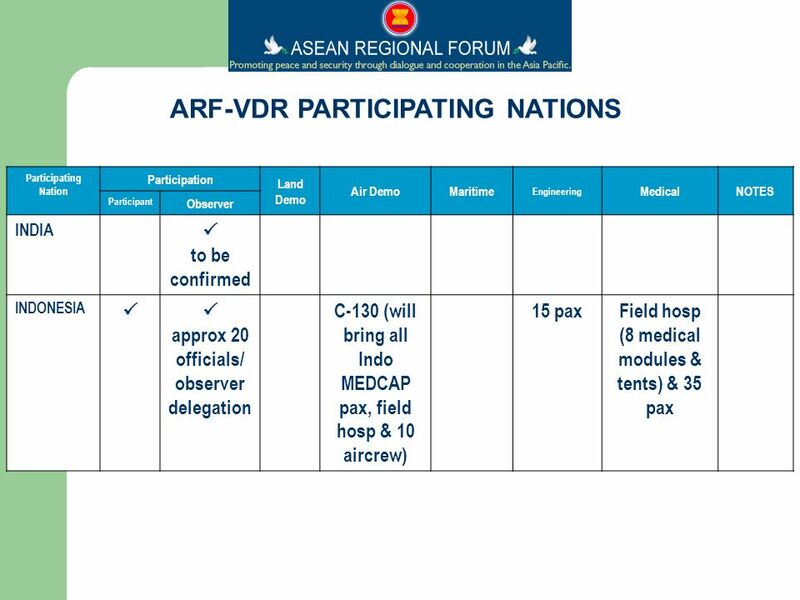 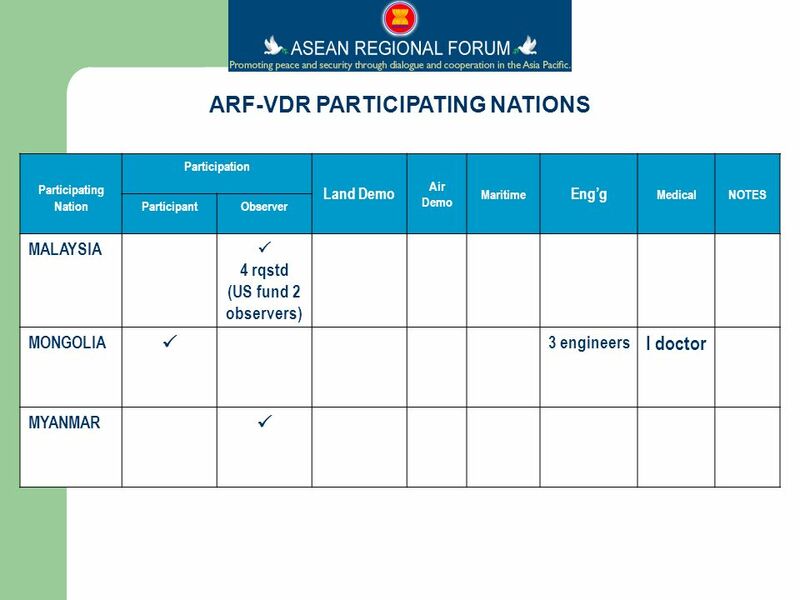 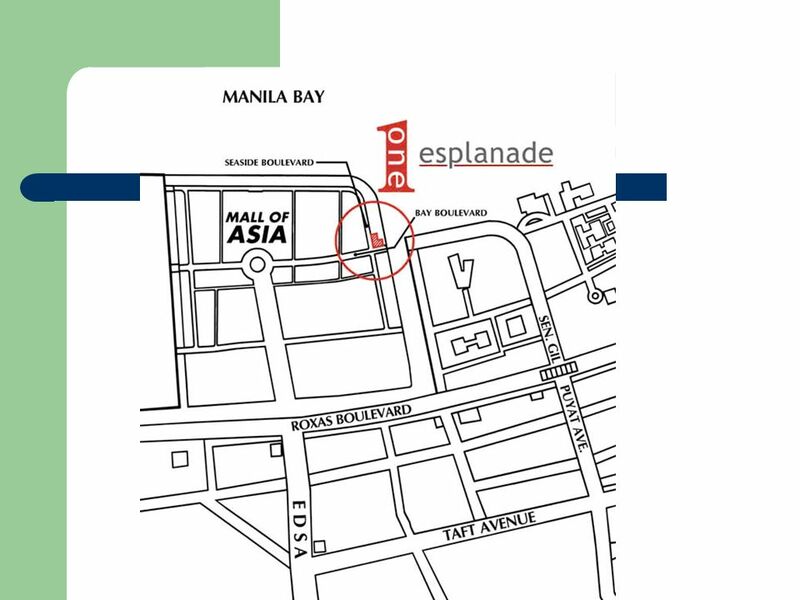 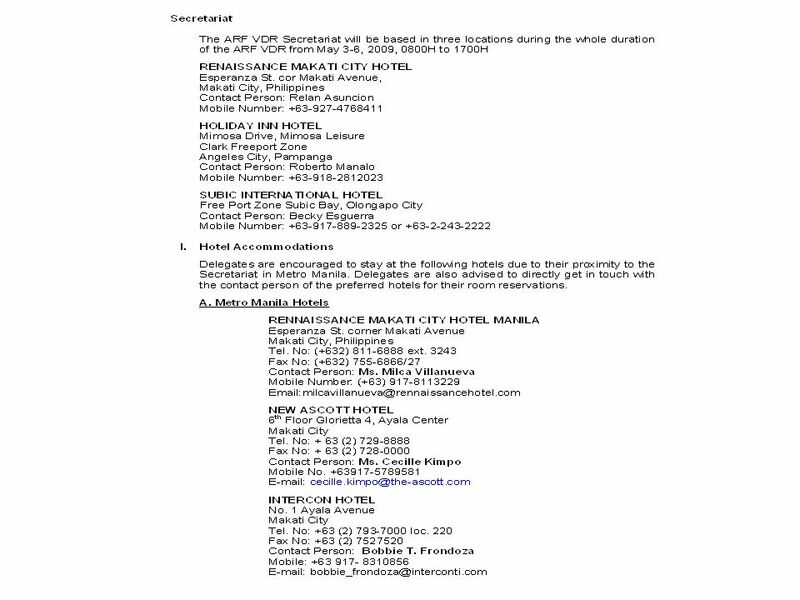 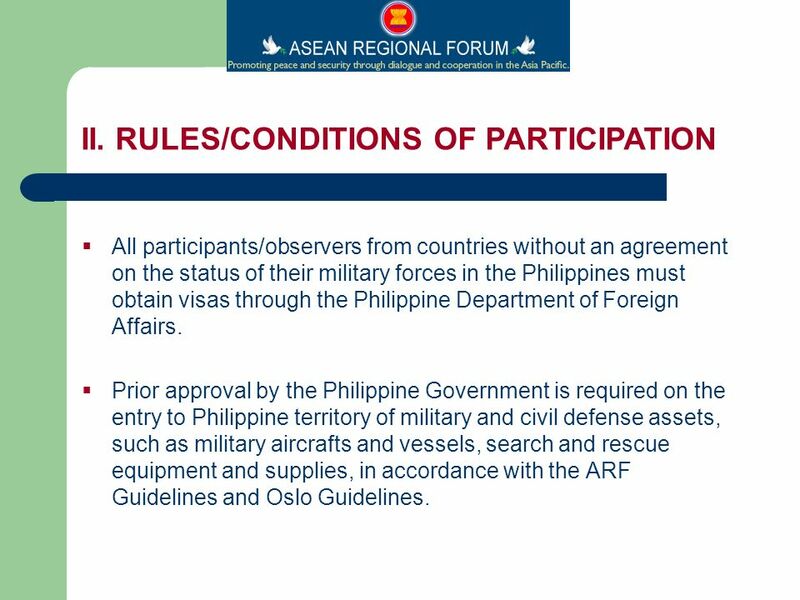 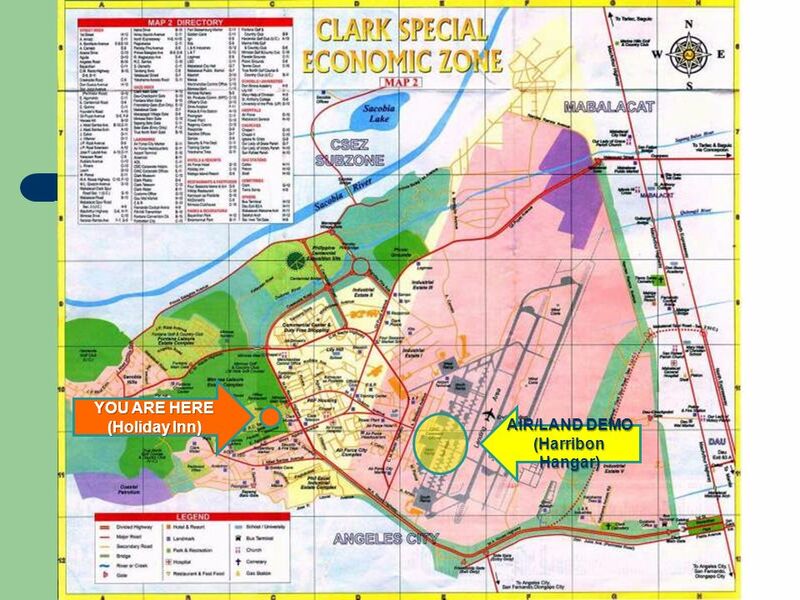 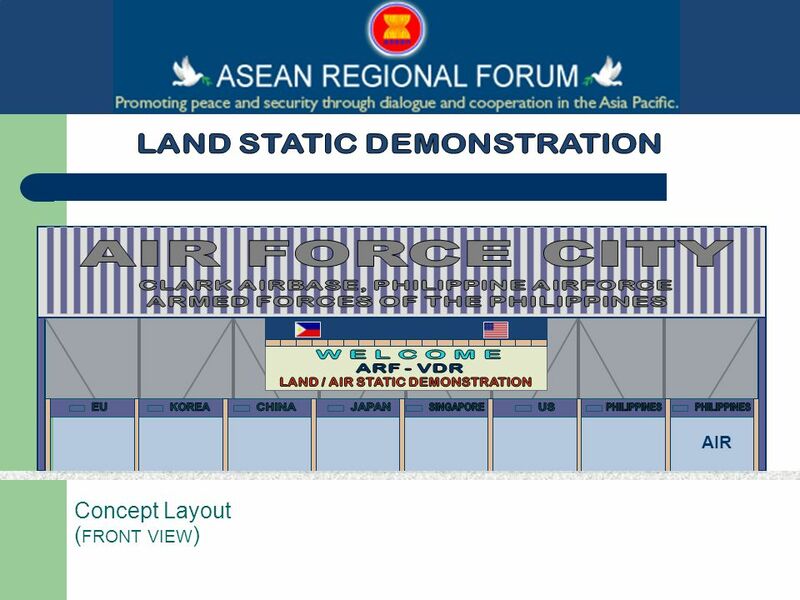 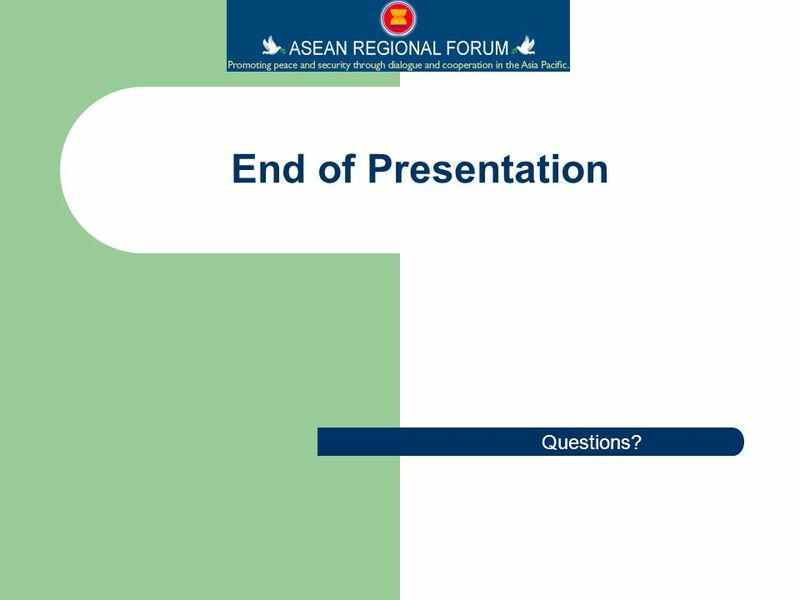 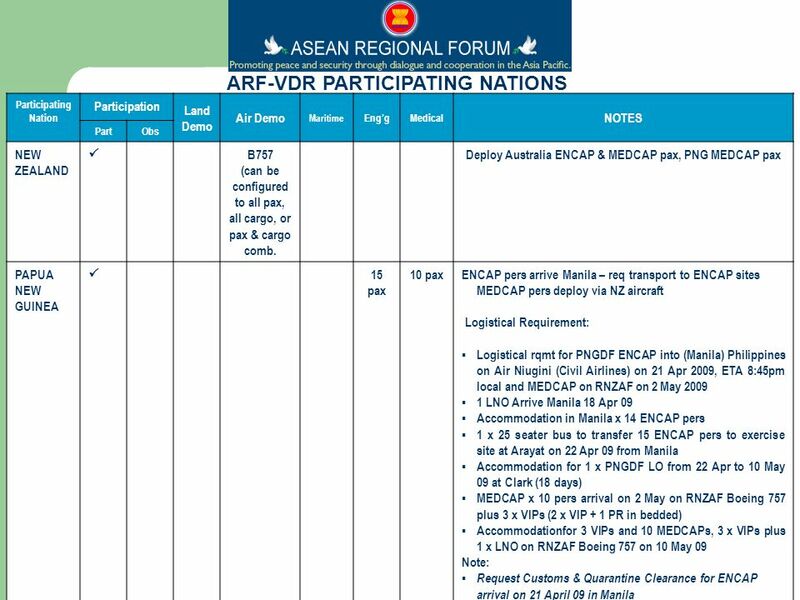 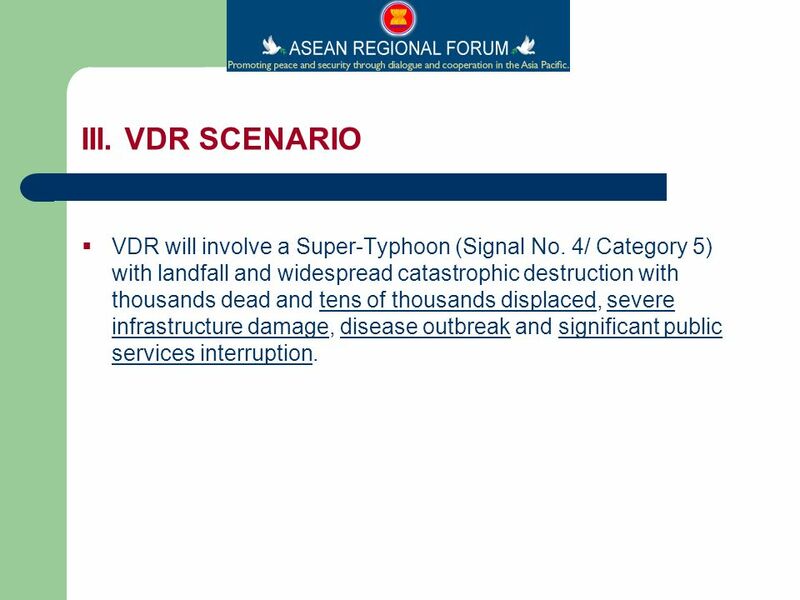 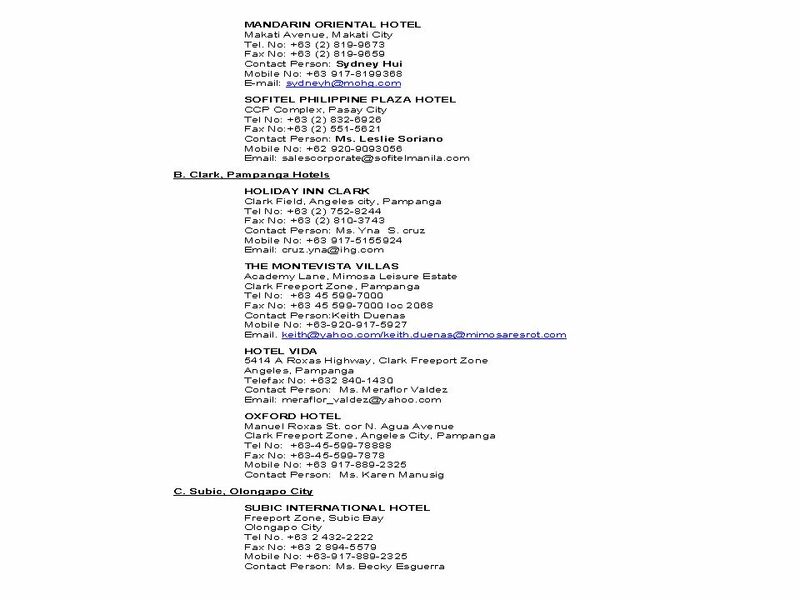 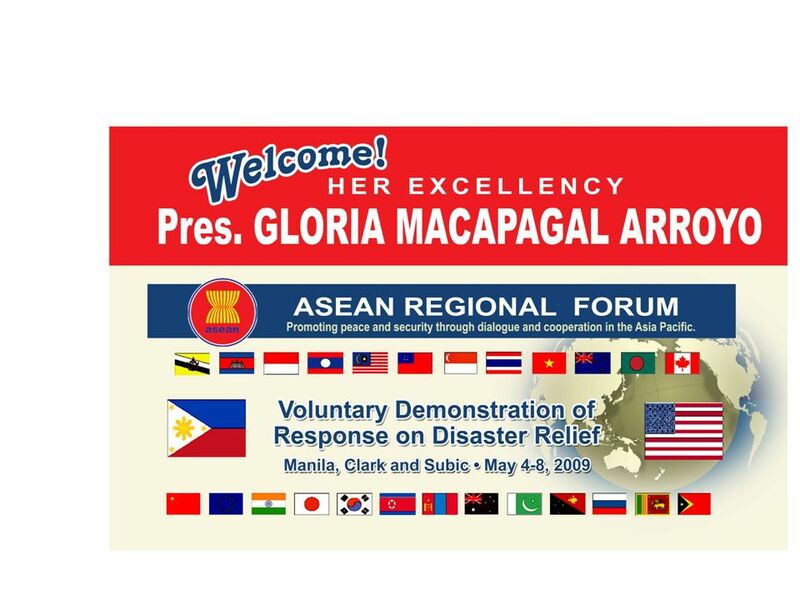 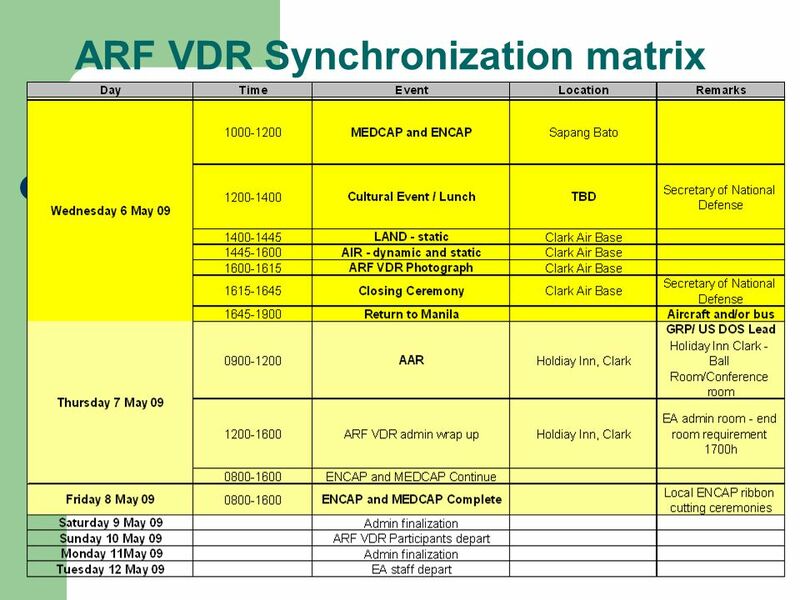 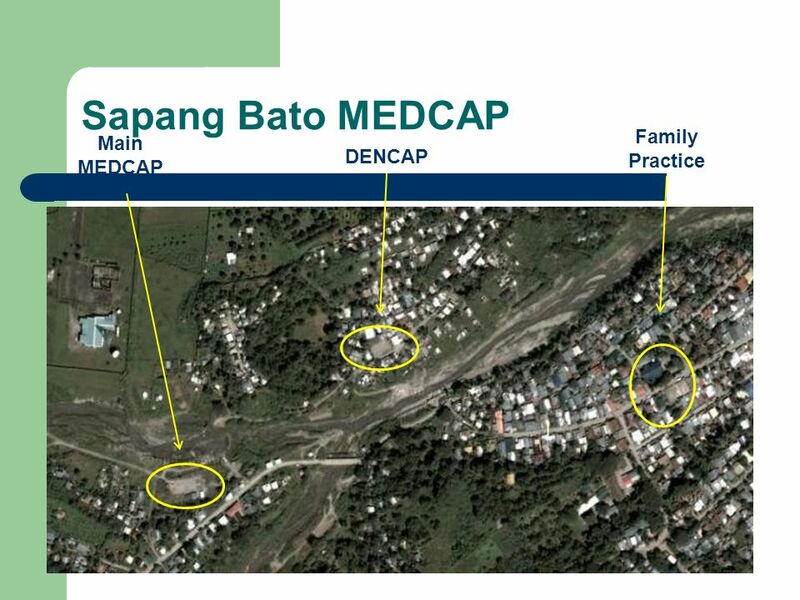 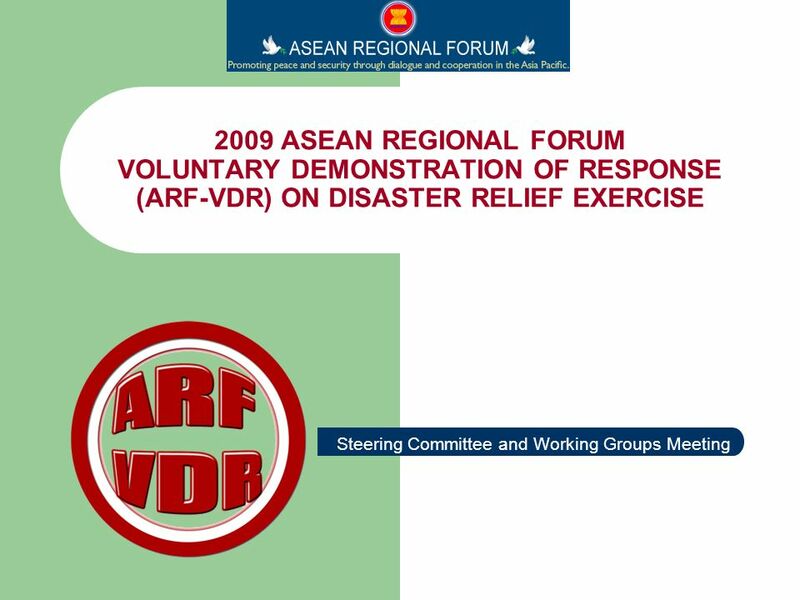 Download ppt "2009 ASEAN REGIONAL FORUM VOLUNTARY DEMONSTRATION OF RESPONSE (ARF-VDR) ON DISASTER RELIEF EXERCISE Steering Committee and Working Groups Meeting." 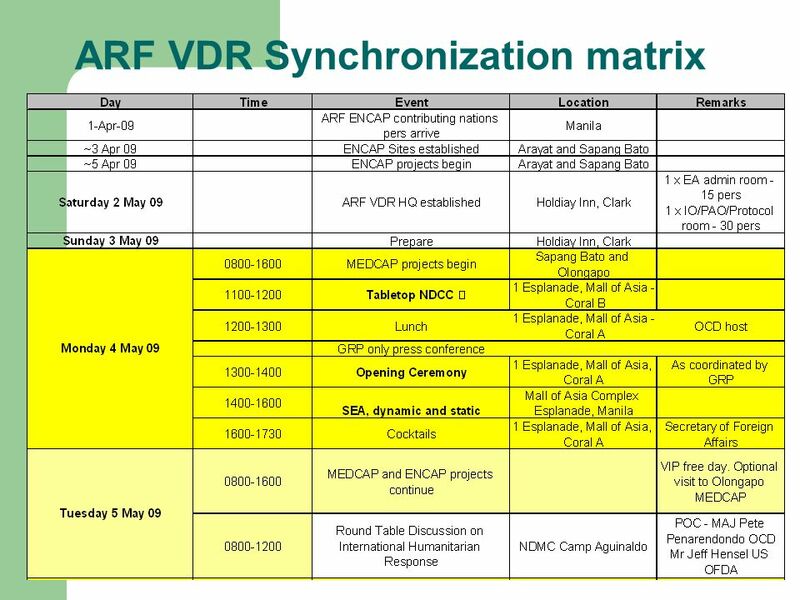 The Italian Emergency Management System Department of Civil Protection Luca Rossi OECD Workshop on Inter-Agency Crisis Management. 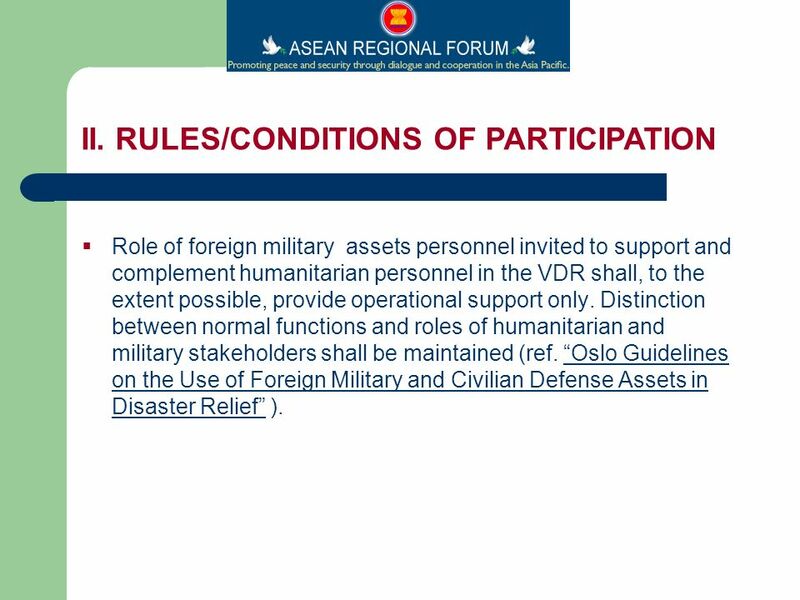 ASEAN Regional Forum Defence Officials Dialogue 18 March 2010 Regional Responses to Disaster Relief: Civil Military Cooperation & Coordination COLONEL. 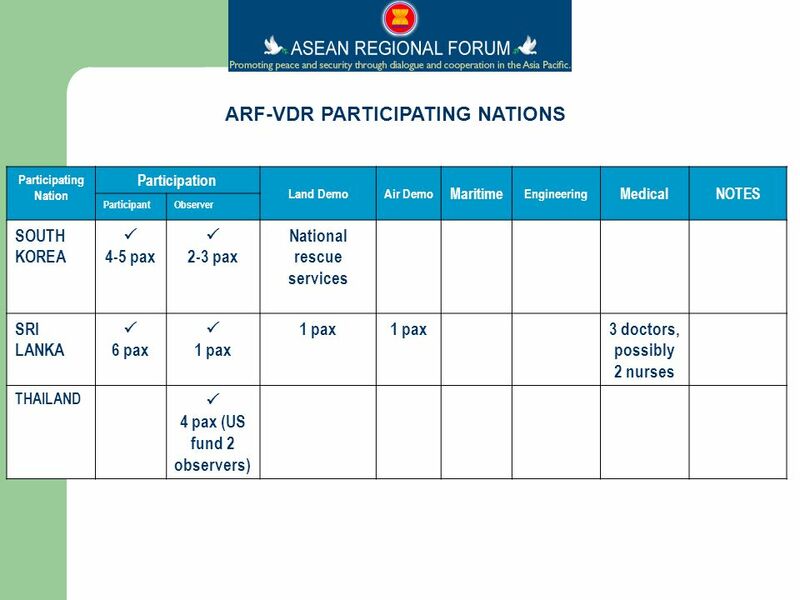 EXPECTATIONS AND MODALITIES OF THE ARF DISASTER RELIEF COOPERATION Lt-Colonel Kok Kam Wai Joint Logistics Department Singapore Armed Forces. 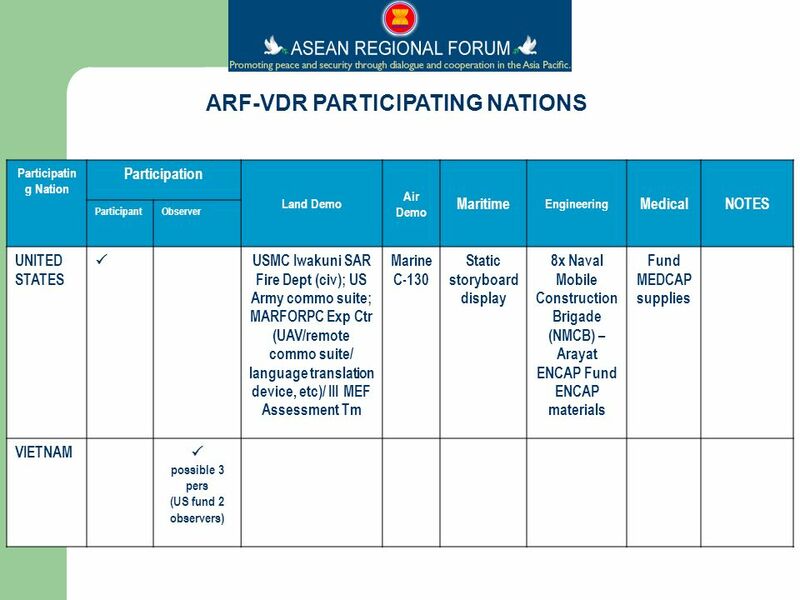 Reconstruction Stabilisation Training Disaster Relief 21 st Century Challenges to Defence Australias whole-of-government approach. 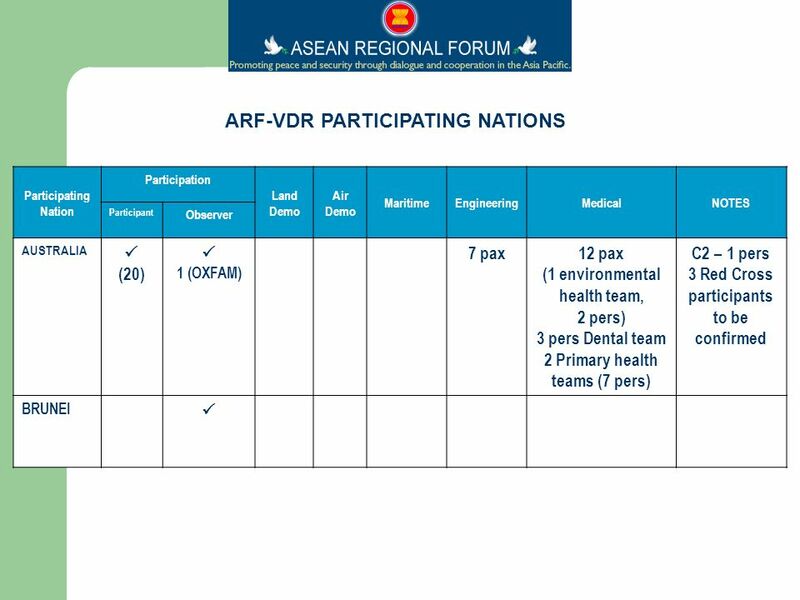 As of : March 5 th 2010 ASEAN Regional Forum Disaster Relief Exercise 2011 (ARF-DiREx 2011) Manado, Indonesia: Prepared scenario. 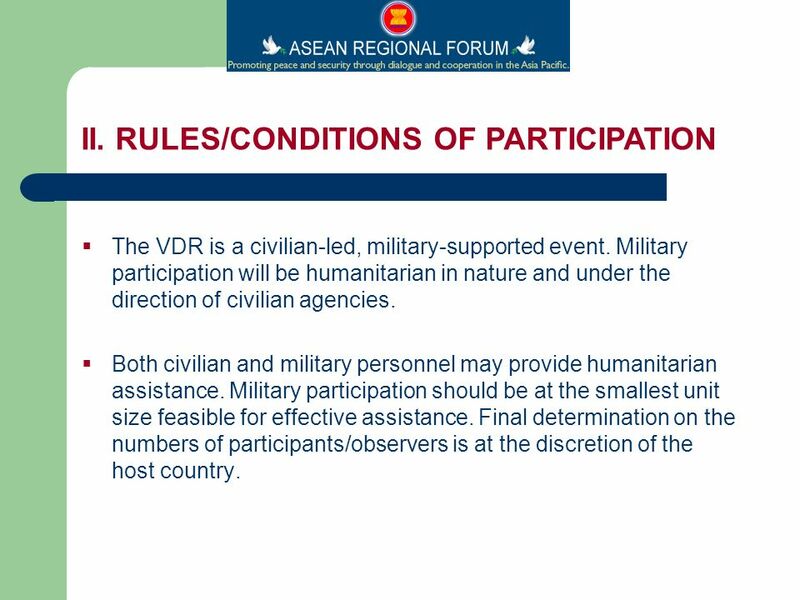 1 Legal Challenges Faced by Militaries in Undertaking Disaster Relief Operations Lieutenant Colonel Christopher B. Walters, USMC Deputy Staff Judge Advocate. 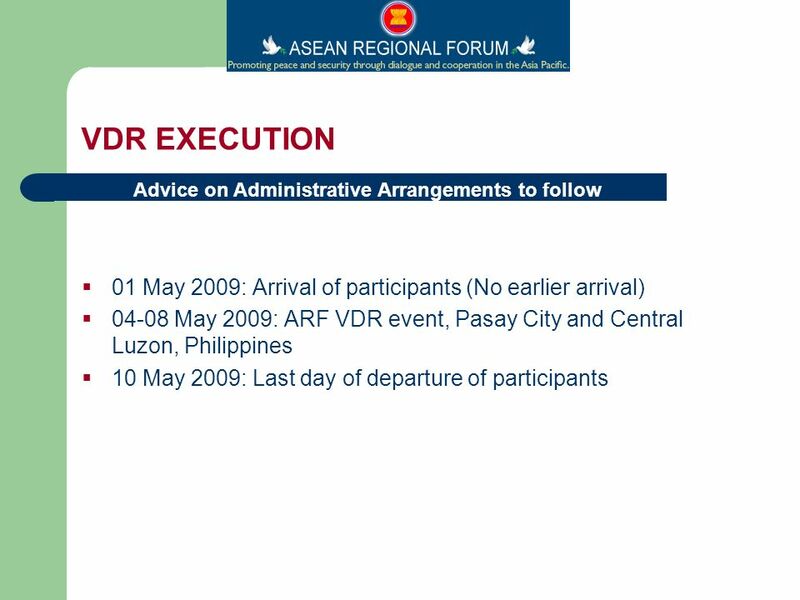 JOINT STAFF 18 March 2010 Colonel TAKEHIRA Tetsuya, Ph.D. Deputy Director, Defense and International Policy Planning Division (J-5), Joint Staff, JAPAN. 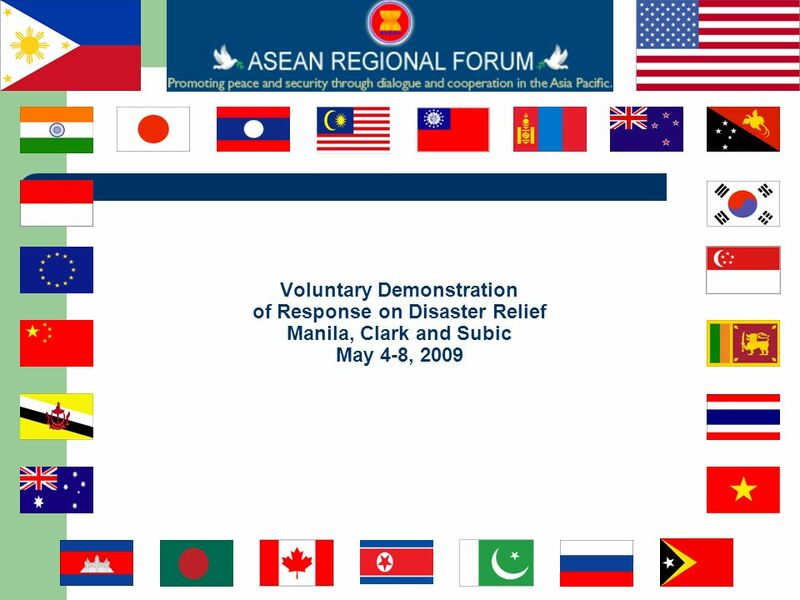 ASEAN Regional Forum Inter-Sessional Meeting on Disaster Relief September 19, 2006. 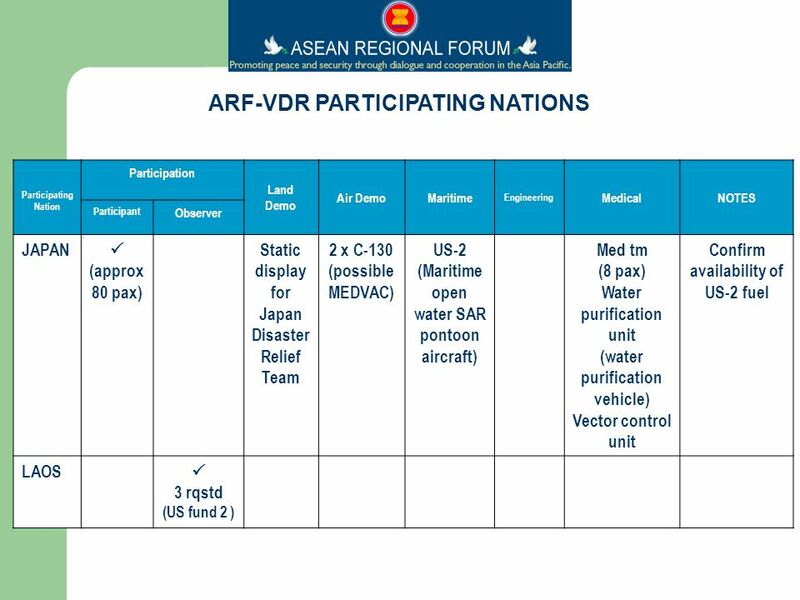 1 Japan s International Disaster Relief Activities Yukihiro SUKISAKI Deputy Director International Policy Planning Division Bureau of Defense Policy Japan. 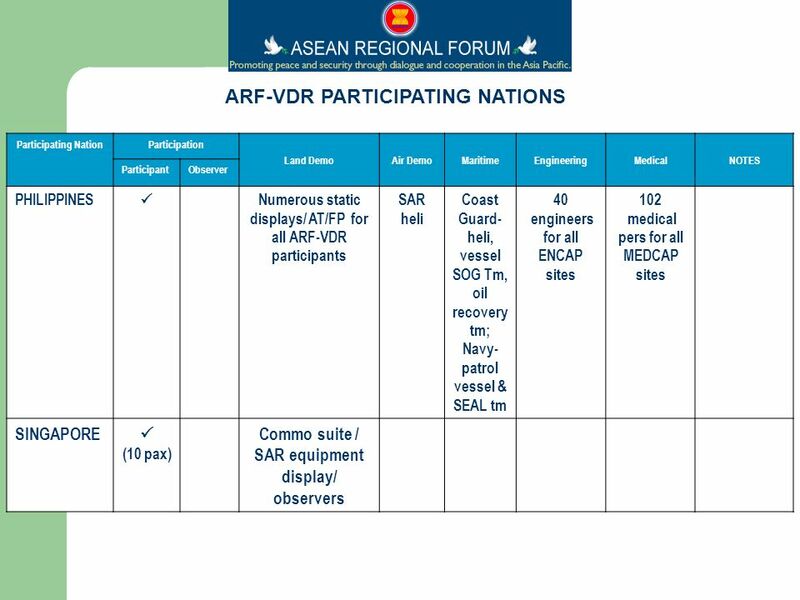 REVIEW OF PREVIOUS DISCUSSIONS ON MARITIME SECURITY IN THE ARF. 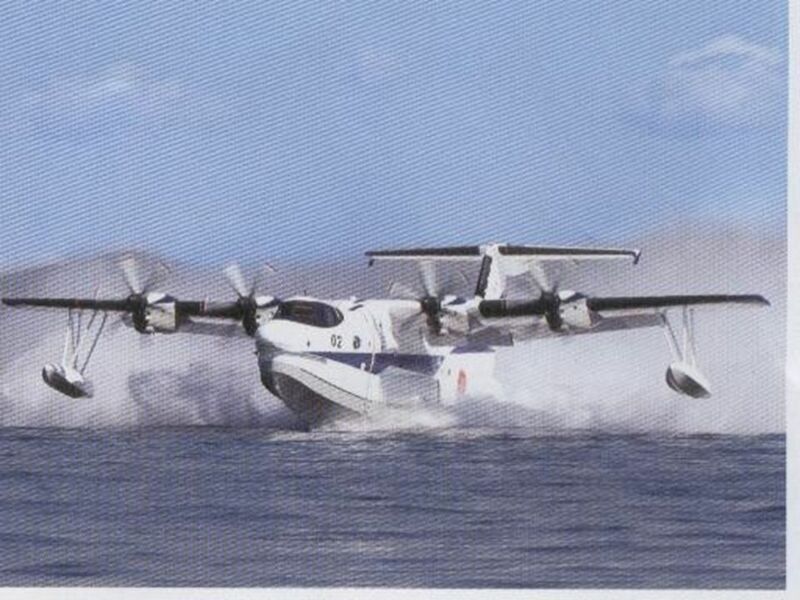 1 Maritime Law Enforcement. 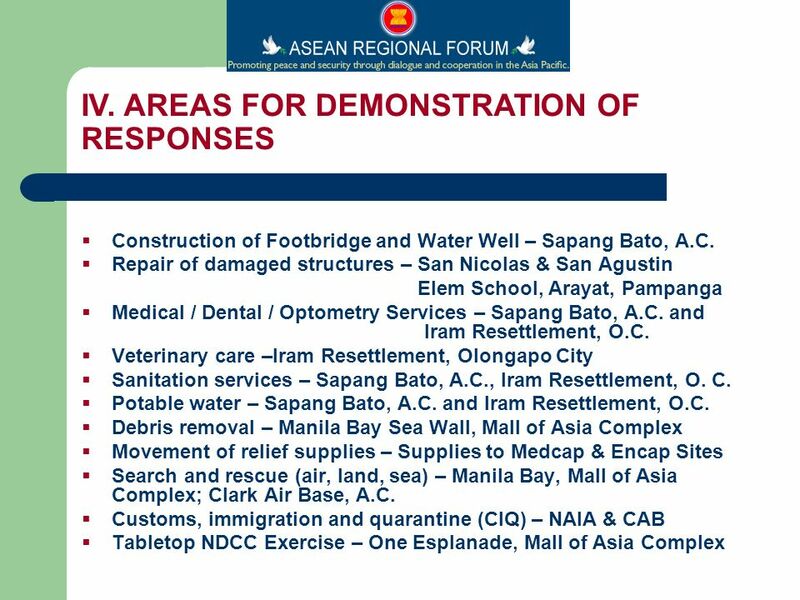 2 INTRODUCTION Naval Forces as economic & effective law enforcement units Risk of Excessive Use of Force Avoided by –law enforcement. 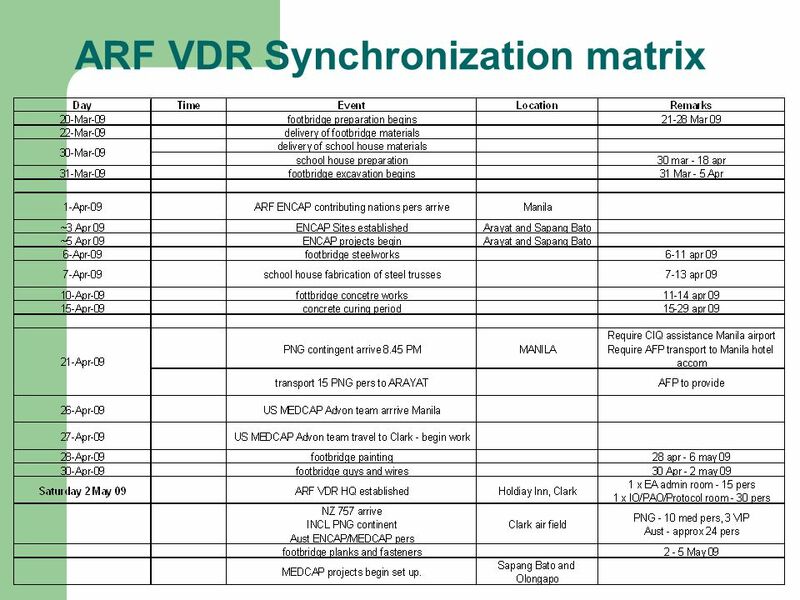 Module 14 Major Incident Management Module 14 Major Incident Management incident Problems in major and complex incident management Major incident management. 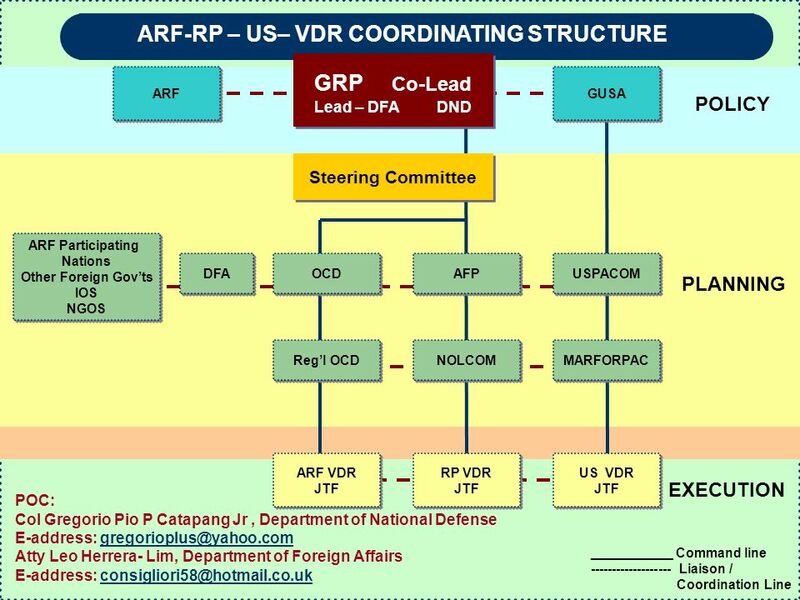 Module 13 Unified Command Module 13 Unified Command Origin of Unified Command Origin of Unified Command Description of Unified Command Description of Unified. 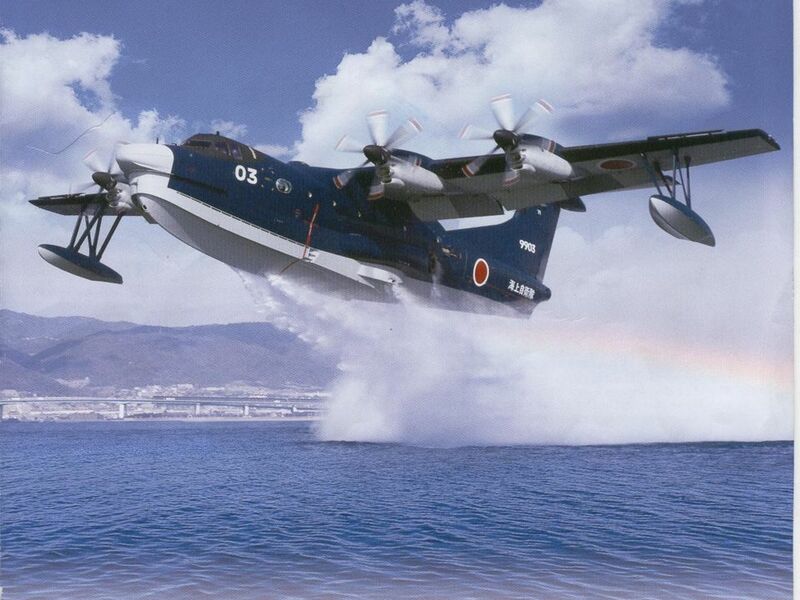 U.S. Marine Corps KC-130J prepares to land at Villamor Air Base, Manila, Republic of the Philippines. 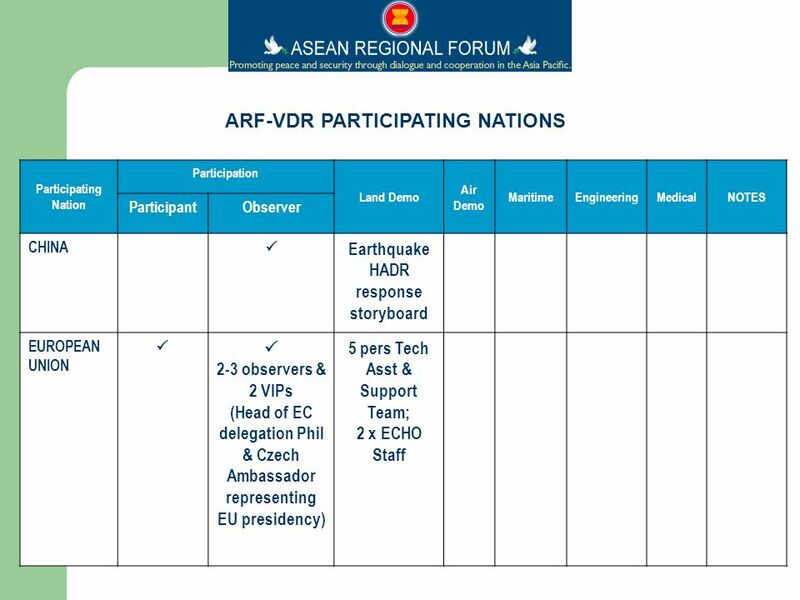 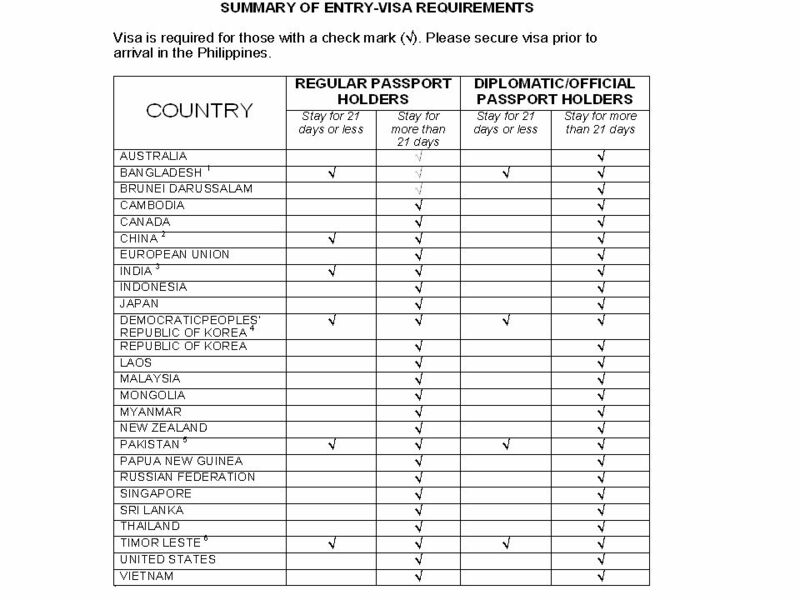 Mr. Marty Ortogero OVERVIEW OF HOST NATION NOMINATION PROCESS 1. 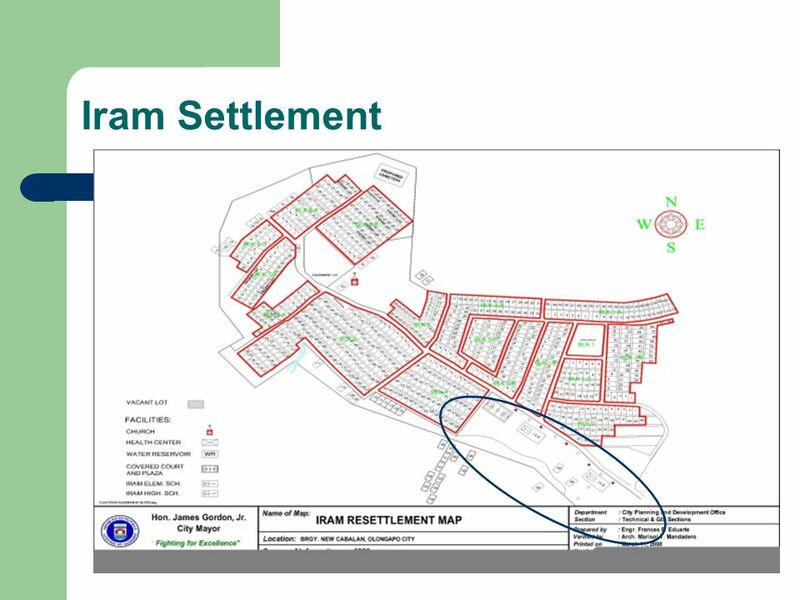 Hurricane Katrina Lessons Learned Laurence I. Broun Departmental Emergency Coordinator Office of Law Enforcement, Security and Emergency Management May. 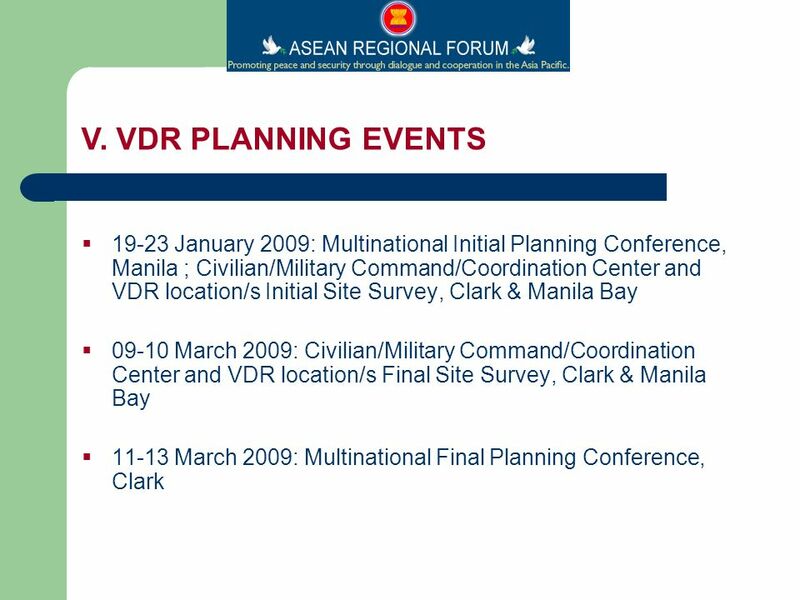 Department of Defense Support to Foreign Disaster Relief Operations INTERHANDS Seminar Mr. John Christiansen 24 October 2000. 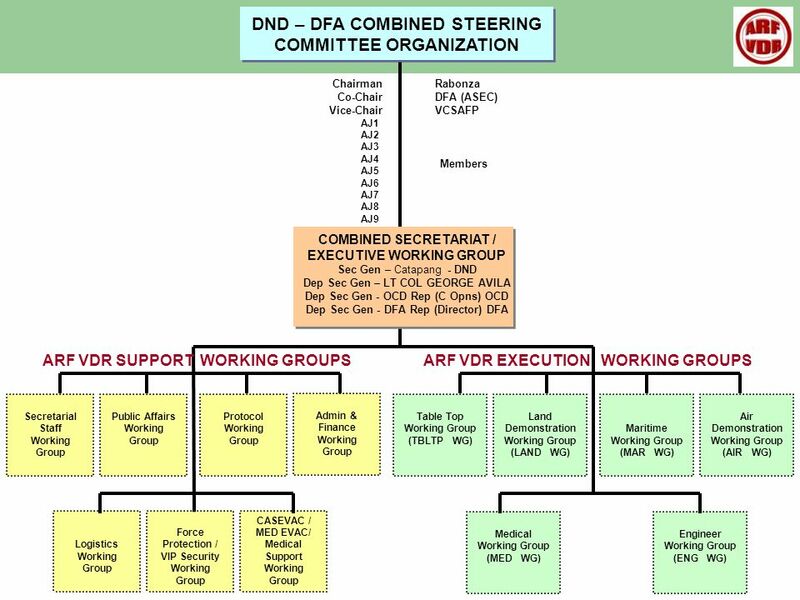 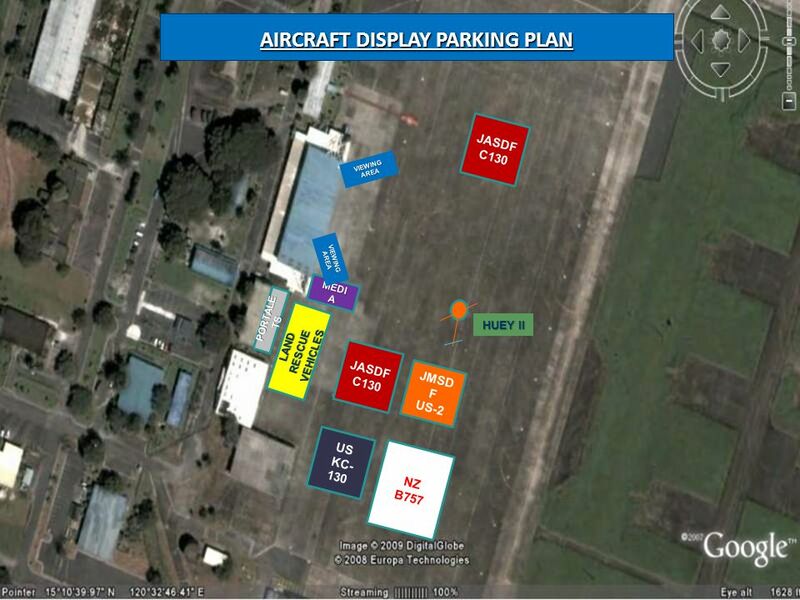 FTX INITIAL PLANNING CONFERENCE ARF DIREX 2015.  Participants agreed with the proposed scenarios  Participation:  Laos = observers  Indonesia = building.